Enjoy a cup of coffee and join a conversation with Ward Nye, president and CEO of Martin Marietta Materials. Nye, a North Carolina native with degrees from Duke University and Wake Forest University, is active in a number of industry and civic organizations. He is the immediate past chairman of the National Stone, Sand and Gravel Association, vice chairman of the American Road Transportation Builders Association, and a trustee of Rex Healthcare, Inc. He previously served as a gubernatorial appointee to the North Carolina Mining Commission, a member of the Duke University Alumni Board, and on the Wake Forest Law School Alumni Council. 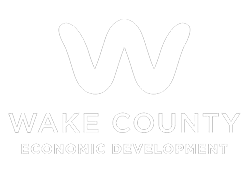 In the Triangle, we are celebrating Small Business Week by offering events and resources to support the organizations that are important economic drivers for our region.